Spend three days exploring some of the best highlights along the South Coast of Iceland. This three-day south coast adventure tour embraces the highlights of the South of Iceland. It includes the historical and geological Thingvellir National Park, the majestic Golden waterfall Gullfoss, the world famous Geysir hot spring, the renowned Glacier Lagoon Jökulsárlón, as well as the immense black sand beaches, the famous plane wrack, and beautiful waterfalls of the south coast, Seljalandsfoss and Skógafoss. 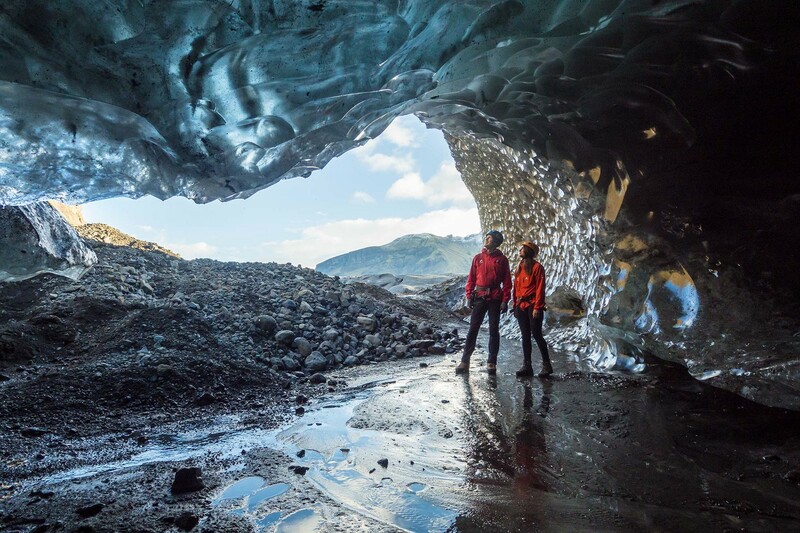 On top of these unique natural wonders, our friendly and knowledgeable guide will take our small group on exciting activities like a Glacier Walk and Ice Cave exploration. We spend two nights at a country hotel where we can traditional Icelandic dinners. This is the perfect place to hunt for the Northern Lights!